After the recent comments made by U.S. President Donald Trump and the stance taken by the NFL this past weekend, it seems as if everyone has an opinion on the subject at hand. That would include Ohio Congressman Jim Renacci, who went to Twitter to announce his stance. Renacci states that he pulled an ad worth $20,000 for this weekend’s Browns game. 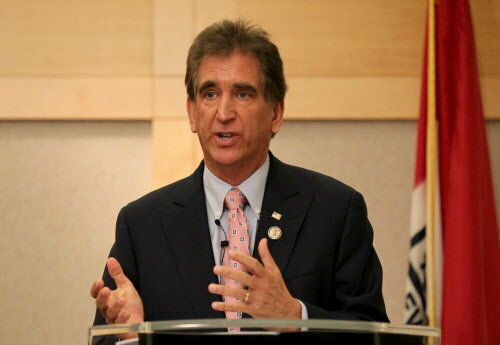 Renacci tweeted out his frustration and displeasure with the NFL’s display from Week Three. Renacci describes the national anthem protests as “shameful”, as it’s one of his main reasons for pulling his twenty-thousand dollar ad for this weekend’s Week Four matchup between the Cleveland Browns and Cincinnati Bengals. Renacci is currently running for Ohio Governor in the 2018 campaign. His statement on the NFL’s national anthem protests will obviously draw a response from many and play a role in his campaign.